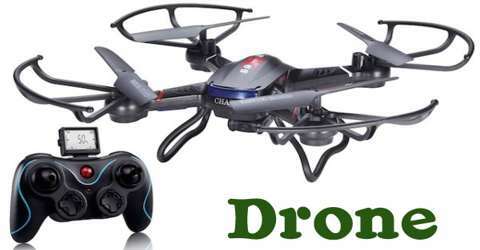 Drone is an aircraft that does not have a pilot but is controlled by someone on the ground, used especially for dropping bombs or for surveillance. 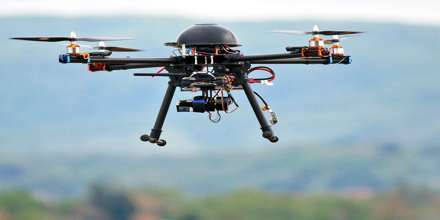 Drones are more formally known as unmanned aerial vehicles (UAVs) or unmanned aircraft systems (UASes). Essentially, a drone is a flying robot. The aircrafts may be remotely controlled or can fly autonomously through software-controlled flight plans in their embedded systems working in conjunction with onboard sensors and GPS. In the recent past, UAVs were most often associated with the military, where they were used initially for anti-aircraft target practice, intelligence gathering and then, more controversially, as weapons platforms. Drones are now also used in a wide range of civilian roles ranging from search and rescue, surveillance, traffic monitoring, weather monitoring and firefighting to personal drones and business drone-based photography, as well as videography, agriculture and even delivery services. Drones not only allow versatility in mapping terrain, they also allow us to get highly detailed renders of the environment that we can’t get from satellites. This year, the people at the UAV team SenseFly and the aerial photography company Pix4D launched three drones to navigate and scan the Matterhorn, one of the tallest peaks in the Swiss Alps. The drones did so in just six hours, creating a stunningly detailed 3D model of the iconic mountain, made up of 300 million mapping points. Using drones for search and rescue isn’t very controversial, and in fact we’ve been using robots in such scenarios for years. Perhaps not airborne robots, but roboticists have developed many robots built to navigate rubble or tightly enclosed spaces. From amoeba-inspired robots to Japan’s small army of earthquake response droids, the land drone has been around, or at least in development, for years now. It shouldn’t come as any surprise that drones have commanded attention primarily because of their gruesome military applications. As with most advances in technology, the first thing humans try to figure out is how they can use them to kill other humans. Drones, which have been used by the U.S. military in various forms for the past 50 years, are no exception to this rule. Small tress are still fair game, but Helene Muller-Landau, an ecologist with the Smithsonian Tropical Research Institute, says drones could give scientists quicker and easier access to massive new troves of data. Drones don’t have to be all about grownups with jobs and responsibilities — they can be fun, too! A UK Domino’s released a video earlier this year showing their “DomiCopter” flying around delivering pizzas. While this was just a concept project, it’s not inconceivable that one day drones will show up with pizza at your door. The logistics of emergency response are often muddled by physical factors. It’s never easy to search for survivors in cases like flooding, wildfires, or nuclear fallout, particularly because these types of emergency situations require aid workers to put their own lives at risk. 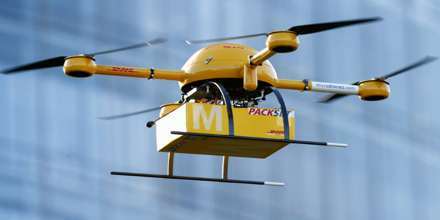 Moreover, drones can be commissioned to deliver medicine, vaccines, and care packages to people from a distance. In fact, a team led by George Barbastathis is currently developing a smartphone-deployed drone that can be operated by healthcare workers. The rapid adoption of drones has sparked complaints and concerns. 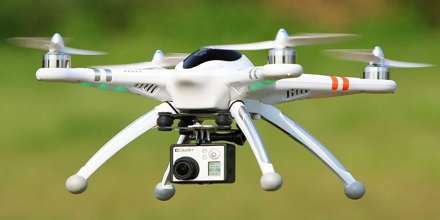 From a privacy standpoint, drones have been used by voyeurs and paparazzi to obtain images of individuals in their homes or other locations once assumed to be private. Drones have also been deployed in areas deemed to be potentially unsafe, such as urban areas and near airports.